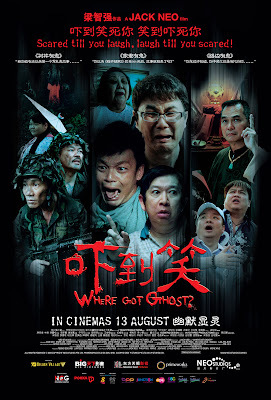 【♣】Glαмσяσυs ✖ [Đ]αиiiεŁ™【♣】: Where Got Ghost? Outings with baby and friends today. Went over baby place around 11am. 5 of us, me, bi, Lynn and her boyf and his friend. and went collect our movie tickets. All of us were dead hungry. i suggest to try out Noodles Station for our brunch. Tom Yam Seafood Fried Rice. The soup its very tasty too. Danny and KaiSiang came and join us too. I remember the last time i played was long time ago. lols. Accompanied bi and lynn to buy present for their friends. In this movie, there are 3 short stories. and have to respect to the elders. Overall the movie its still okay. she was looking after her shop.